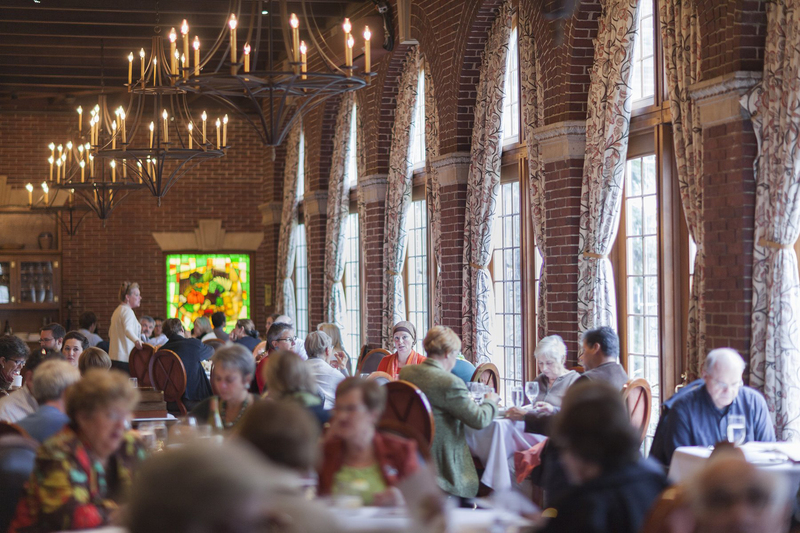 Hyde Park, NY – The CIA Restaurant Group unveils its new season of tantalizing tastings, enlightening lectures, and delicious dining at The Culinary Institute of America in Hyde Park. With more than two dozen events from January to early April, the CIA Winter Dining Series offers unique experiences that can only happen at the world's premier culinary college—right in the Hudson Valley. Many offerings are brand-new for 2014, while some old favorites return to the menu as the series celebrates its 23rd season. January 29 and 30: The Beefsteak was a New York City institution from the mid-1800s to early 1900s. At the male-only banquet, beef, beer, and singing were the order of the day and no utensils were used. "Beefsteaks" raised money for politicians, friends, or a cause. While this Beefsteak in the American Bounty will also celebrate the pleasures and camaraderie of the communal table, two big differences are that women are welcome and utensils are available—but not mandatory. February 11 and 12: L'Anniversaire du Restaurant Bocuse celebrates the first anniversary of the restaurant's opening with the exact menu served to legendary Chef Paul Bocuse and his friends Thomas Keller, Jean-Georges Vongerichten, Daniel Boulud, and Michel Richard at the restaurant's official opening in February 2013. This exclusive and delectable event features the classic signature dishes of France's notable chefs re-imagined using ultra-modern techniques. March 26 and 27: Black Tie and Truffles is a chance to dine on food redolent with the aroma and flavor of the rare truffle. The "culinary gold" from Italy is featured in each of the meal's courses. Even dessert includes truffles—the other kind—made of dark chocolate. The entire experience is enhanced by the exquisite singing of an a capella opera group from nearby Bard College. For a complete 2014 CIA Winter Dining Series schedule, visit www.ciarestaurants.com. Reservations can be made at the website or by calling 845-471-6608. CIA gift cards make a unique holiday gift for dining and food enthusiasts, and they are available from $20 on up. To buy a gift card, call 1-866-242-7787, visit the CIA Hospitality Office in Roth Hall on the Hyde Park campus, stop in at any of the restaurants, or go to www.ciachef.edu/giftcards. CIA gift cards may be used for Winter Dining Series events, lunch or dinner at on-campus restaurants, or for hands-on food enthusiast classes. Photo 1: For a complete listing of events in the 2014 CIA Winter Dining Series, visit www.ciarestaurants.com.